Even though learning the proper method how to clean hydration bladder is an important part of owning one, it’s a process that often gets overlooked. Sure, in the beginning you think that you’re going to clean your hydration bladder/camelback every day it but in reality, often you are just in a rush, and it gets thrown into the boot of your car. Camelbak themselves even acknowledge that it’s hard to keep up with a regular cleaning routine. However, a clean hydration bladder will ensure that you are keeping your hygiene and health in check while staying hydrated! Below we have broken down the key steps that you need to take to have a clean hydration bladder in minutes. For a clean hydration bladder, store the bladder rolled up in your freezer, after you have emptied it. This will make sure that the icy air stops any germs from forming. If you have had anything inside your hydration bladder except water, a quick rinse with hot water and lemon will break down all the residue, and it means that you can avoid putting soap in your water compartment, which can leave a pretty unpleasant taste. You can then use a green scrubber pad, which will reactivate the antimicrobial coating. This is embedded in the walls of the hydration bladder, and it is used to percent mold and nasty smells. As this is one of the areas that is the most fiddly and difficult to clean. Below is some excellent advice. Pull the hose off the bladder and pull the bite valve off the hose. 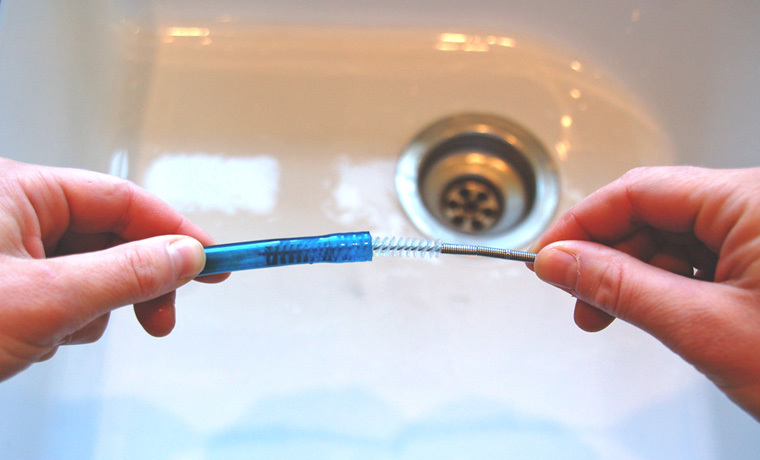 If you’re a frequent user of your hydration bladder, it’s best to invest in a tube cleaning brush which is a long stiff cable with a little brush on end. However, you can also fashion one yourself by getting an old derailleur cable. Slide the cable through the hose. Take a short piece of paper towel, get it slightly wet and then wrap it around the end of the cable. Spiral the paper towel a few inches up the cable to make it narrow enough for the tube. Push the cable into the tube, and slowly pull the paper through. Once the paper comes out the other end, with all the gunk that it has built up along the way, discard the paper and then repeat the process with a clean bit of paper towel. Yes, this is getting its section. When you are learning the tools for cleaning a hydration bladder/Camelbak, it is important to learn the washing process. However, the make or break moment for your cleaning system is most likely going to be how you dry your Camelbak. The important thing about drying your Camelbak is ensuring that the sides are held apart. So that the inside can fully dry. If the sides stick together, the Camelbak can remain slightly wet. And this kind of humid moist environment is exactly what it takes to grow bacteria! A good DIY way to dry your hydration bladder is to cut a coat hanger on one side. And then slide the cut end into the Camelbak, so it holds it in place then just leave it to dry! Simple. If you’ve followed those steps and it still does not seem right, here are some additional tips and tricks that you can try. Fill your hydration bladder with bleaching powder, warm water, baking soda or possibly white vinegar. Shake the mixture in the bladder then leave it to soak for 30 minutes or so. This will help to break down any grime and sterilize it from any bugs. Hopefully with these steps you have learned how to clean hydration bladder. Along with tube cleaning and proper drying technique. We’re human and we all forget sometimes. But if you follow these steps regularly it will keep you happy, healthy and on your feet!